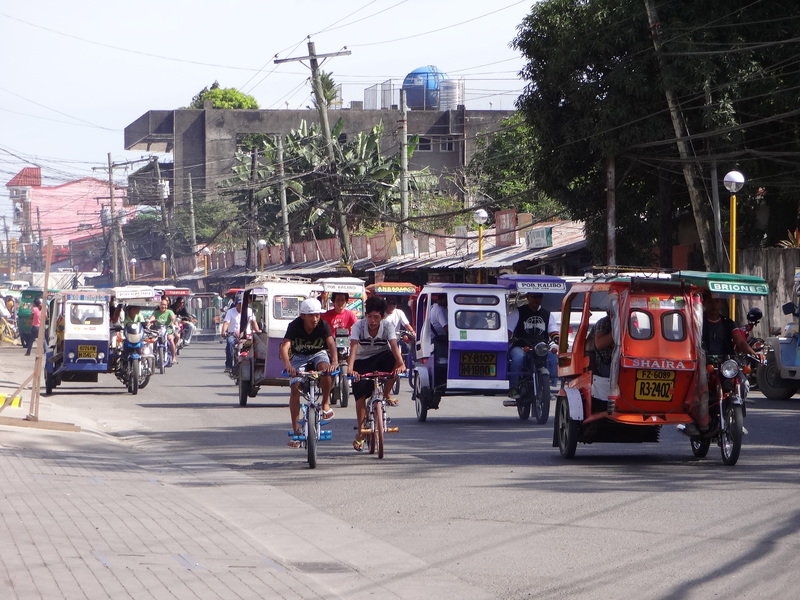 Street life seems chaotic and full of commotion here in Roxas City. 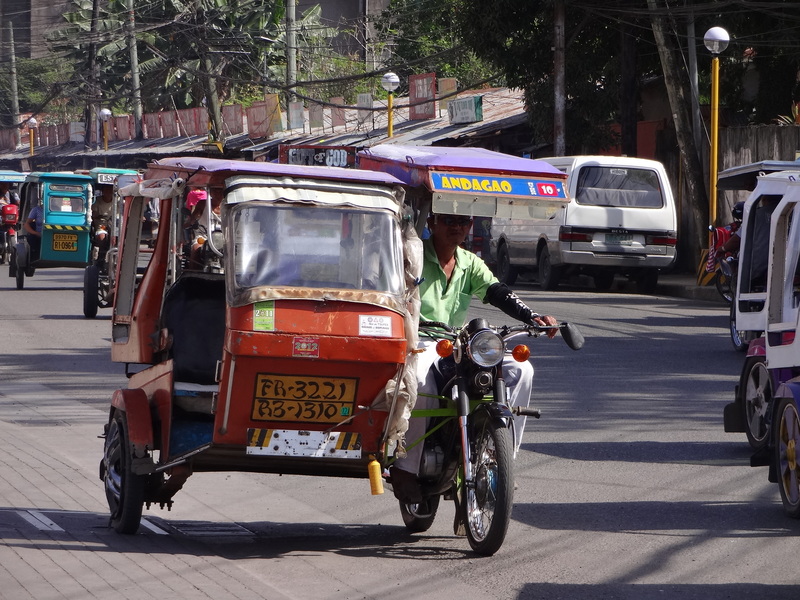 Something we need to get use to as the streets here are noisy and busy, full of whizzing motor bikes (trikes as they are known in the Philippines) and taxis with more people and stuff than can actually fit in the vehicle, but that does not stop them. They all seem to know where they are going, honking and zig-zagging without collisions (so far). There are few stop lights, signs, or traffic cops. All this commotion is really the norm here in the Philippines; it is so different than streets and traffic in the United States. At home it seems as though everyone lives their lives inside their houses and here life unfolds on the streets in front of us. We use the trikes to get from the hotel to the hospital and back. The 1st ride in the trike was a little unnerving but after arriving back at the hotel without a scratch, I am looking forward to the next ride. 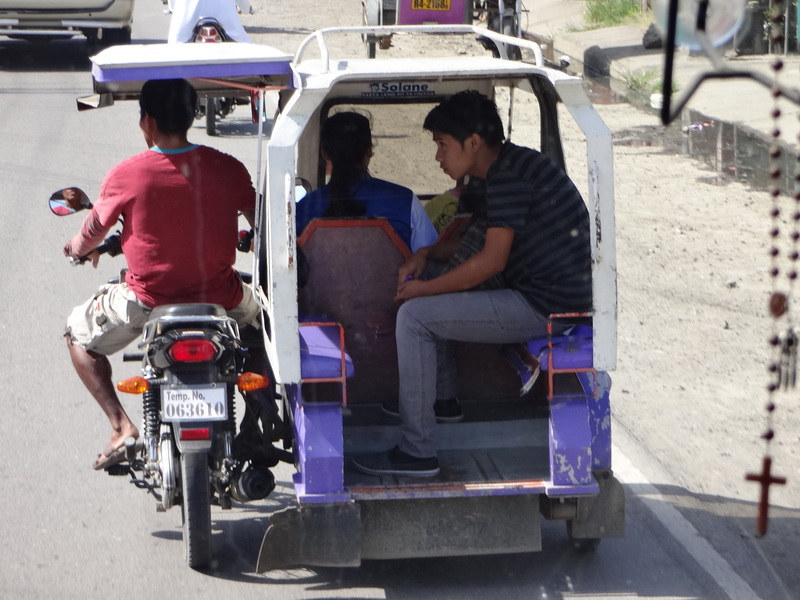 No more than 4 of us can fit in the trikes as we are all much larger than the average Filipino. Filipinos can fit 6 to 8 in the trike with groceries, books and bags. What a site to see!